Cook bacon in a large skillet over medium heat until crisp; drain. Spread a thin layer of mayonnaise and guacamole over each tortilla. Add lettuce, if desired. 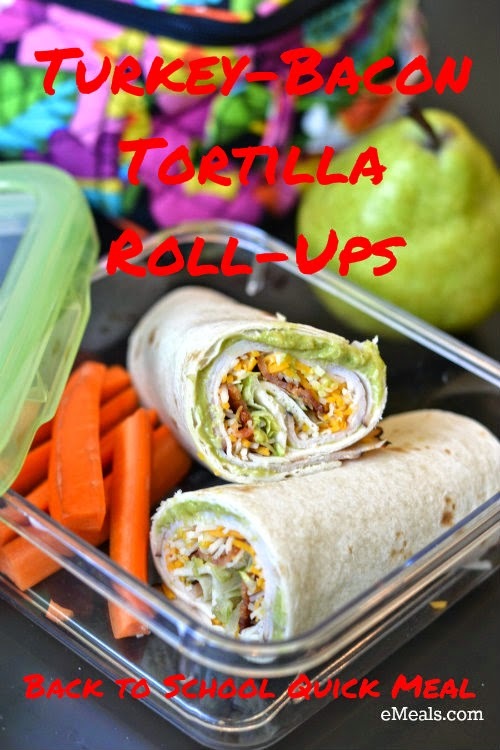 Roll up tortillas and cut in half. 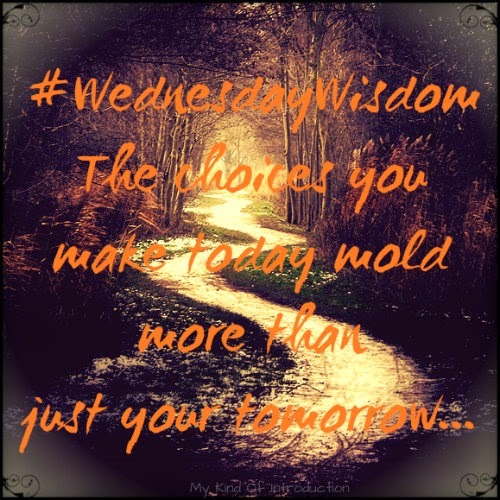 "The choices you make today mold more than just your tomorrow..."
So watch out for a forks in the road because the path not taken could of created a whole new you. Save 20% off Label Daddy labels for the upcoming Back to School Season! Label Daddy has the perfect solution for all of your labeling needs! Each and every item that needs to be kept up with.... Label Daddy can help you with that! When it comes to taking items to school, it's smart to label all clothing, sports equipment, school supplies and all of the other items that your kids decide to bring along with them to school, camp, day care, and so forth. Label Daddy labels help keep your kids with everything you sent with them so less get lost or mixed up with others. These labels are super strong washable peel-and-stick labels -- they're washer/dryer safe, microwave safe, dishwasher safe as well as UV resistant! Did I mention that Label Daddy labels are also fun and very inviting to kids of all ages. You get the opportunity to design your own labels! Pick from tons of colors, sizes as well as logos, including Disney and Marvel characters, MLB, NBA, and NHL team logos, other sport logos plus many more fun logos chose from. Their exclusive laminated coating gives labels that extra layer of protection and is a must-have for camp! All labels are made in the USA and shipped directly to you worldwide. It's been a little while since I've posted a review on my blog and I regret that I've fallen so far behind throughout these past 4 or 5 months. Life has changed drastically for my family and it's been quite tough to keep up with everything that I had going on during the end of last year (2013). I'm still not 100% back on feet yet and struggle daily but I believe that if I start focusing my time back on work then I can get through these rough times and start getting my life back together again. I want to apologize to everyone for deserting you all and I promise to do better from now on. Thank you for the ones who never gave up on me and continue to stand by "My Kind Of Introduction" as well as myself. I appreciate you all more than I'll ever be able to fully express!! Being a parent is such a joyful experience that I'd never give up for anything in the world, but there are always those challenges that make my head hurt. For example: Making sure my children eat healthy without having to sneak in the healthy foods or fight my child over the potato chips. Having that said - I was super excited when I received a package last month that claimed to hold the answer to my troubles, 3 Squooshi pouches for me to test out with my girls. What is a Squooshi and how can your family benefit from them? We've all seen the squeeze packs at the supermarket that contain the apple sauce mixtures and squished fruit flavors, right? I believe they first showed up with a few flavor choices, in the toddler section, they have twisty caps used for resealing. Today you can find a variety of brands and flavors, not only in the toddler section but in the fruit section as well. They range in price from $1 - $3.99 each and come in all kinds of different flavor combinations. Not to mention that they're enjoyed by children as young as age 1 as well as kids ages 8 and up! (My daughters, who are now at the ages of 7 & 8, enjoy eating them for a quick snack while their outside playing with friends!) The only downfall about these fruit pouches is that they're not refillable and have the tendency to be eaten up pretty darn fast!! That's why the idea of a washable, reusable pouch is so wonderful! 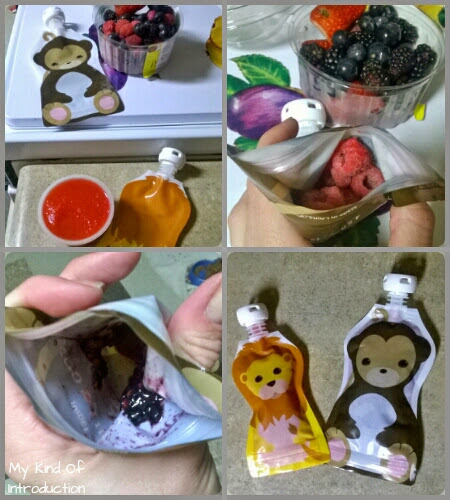 Squooshi pouches can be easily filled with any soft and/or squishable food that your child may request, the fun part is creating their own flavors by adding a few different fruits together inside the pouch, maybe even a veggie or two! Manually squish the fruits by hand once the fruit is added and the pouch is securely closed using the zipper at the bottom of the Squooshi (Just make sure you don't overfill the pouch which can cause the zipper to pop open and fruit to go everywhere). What I love most about these amazing pouches is that clean-up is as simple as loading the dishwasher - since Squooshi reusable food pouches are 100% dishwasher safe! Jade and Loran have always been fans of those store bought fruit squishes and now they absolutely love being able to experiment with different foods to create their very own flavor creations! I no longer have to worry about my girls eating healthy since Squooshi's can be eaten for Breakfast, on the go, for snacks and so much more!! The strong zipable bottoms and the tight fitting lid are great and who could forget those adorable animals that make Squooshi's a one of a kind treat that even the oldest enjoy. • Squooshi reusable food pouches are not only BPA-free but are also PVC-free, Lead-free & Phthalate-free. • Has a super sturdy zip-lock style zipper located on the bottom of each Squooshi. • Can be filled with applesauce, smoothies, fruit, grain, veggies, homemade baby food, yogurt, oatmeal and pretty much anything that's squishy or can be squished! • For best results, fill Squooshi pouches to about ¾ full, depending on content. 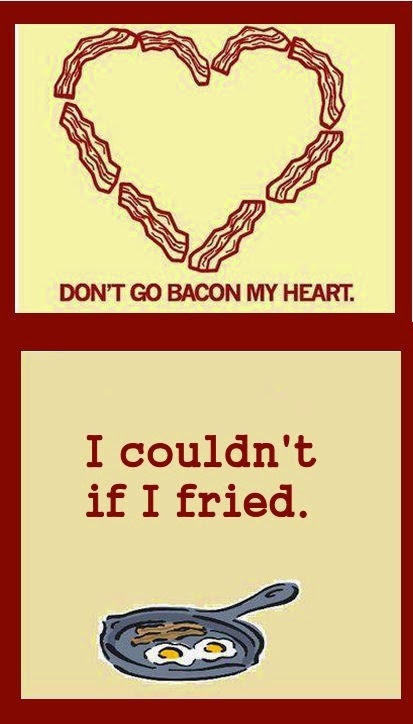 Do you have a "Love for Bacon" or a "Bacon Obsession"? Eating bacon everyday, and loving every bite, is perfectly normal these days. But once you start smelling like bacon... Seek help immediately!! Don't get me wrong, I love bacon just as much as the next guy. Come to think of it -- I'd take a pure bacon sandwich over a BLT any day!! But I can guarantee that you will NEVER catch me using bacon flavored lip balm, weird bacon scented spray or any other random bacon flavored/scented oddity! 23% often wonder if "Does my partner love bacon more than me?" The time has come that strickly eating this yummy strip of meat is no longer the only option for bacon lovers! - I couldn't believe what all I ran across that either Smelt like bacon, tasted like bacon or looked like bacon!! I had no idea that there was so much stuff available with a Bacon Flavor and/or the "bacon-look" - Would you buy any of them? If so... Is the bacon craving your own or someone you know? You can find all of the below items, plus so much more (bacon & non-bacon), by visiting 2 of my new favorite online retailers of Gag Gifts: Stupid.com and FunSlurp.com. Both sites are packed full of unique, fun and quite interesting gag gifts for the whole family! LAST DAY for 15% off on all new Little Passports subscriptions! TODAY is the final day to receive 15% off on ALL New Little Passports subscriptions! Don't miss the chance to save while sending your kids around the world, from your own home, with a Little Passports Subscription! 8X10 Gallery Wrapped Canvas – Only $7.99! Lightweight Custom Photo Fleece Blanket – Just $20! Use the Code: LIGHT at checkout! 24X36 Custom Photo Poster OR Custom Growth Chart – Only $4! Must Choose Either Poster Or Growth Chart. Save on Back to School & Back to College Shopping at Walmart.com! Find School Supplies at a Great Price at Walmart.com! Your guaranteed to find smart savings on everything to improve college life in the dorm or off campus! But don't forget about crossing off those Back to School lists as well... Walmart.com has just what you need, no matter your child's age! Get the Most out of your Dollar with Everyday Beauty and Health Items for Back to College and Back to School with Walmart! Check out Walmart's money saving Value Bundles! Cheesecake Factory Celebrates National Cheesecake Day with AMAZING OFFER!! Send in your Cheesecake Selfie! Get ready... Get set... Shoot! Pose with a cheesecake and send in your best cheesecake photo to be entered for the chance to win $4,000 or $100 in complimentary eGift Cards!!!! Send in your Cheesecake Selfie today! Attention Parents: Enjoy A Reward of Savings for Parents Appreciation Day! This Sunday and Monday ONLY, Receive 18% off your order in honor of Parent's Appreciation Day! With the New Back to School season upon us, it seems like everything is all about the kids these days. Backpacks, School Supplies, New Shoes and of course we can't forget about their new fall wardrobe! The Fall Season tends to be a time where parents think little of themselves while pushing forward to make sure each child is Back to School ready. In honor of Parents Appreciation Day, All parents can shop at Crazy 8 online this Sunday and Monday ONLY and enjoy your very own reward of savings of 18% off your next order! Not only can you full up those little closets with new school clothes, you can now save a bit of your hard earned cash for yourself as well! Take advantage of it -- You deserve it! at checkout to enjoy your 18%off reward of savings from Crazy 8.